The International Center for Biosaline Agriculture (ICBA) has won a prestigious award for its policy and advisory support in the United Arab Emirates. During a ceremony on November 25, 2010 in Dubai, ICBA was presented with the H2O Water Awards 2010 under the category Best Water Consultancy for developing the Abu Dhabi Master Water Resources Plan. ICBA undertook a comprehensive assessment of supply and use of water in the Abu Dhabi emirate and proposed strategic policy recommendations to support future water security. This assessment needed to reflect the environmental sustainability framework already adopted by the emirate in its policy development. The research involved integrating disparate data sets previously not linked and developing new information on the environmental and economic costs of all water sources and uses to give decision-makers crucial insight into the sector. Many of the key policy recommendations had been implemented since its acceptance by the Executive Council, such as banning certain water-hungry fodder crops, wastewater strategy development, and irrigation practices improvement, dry landscaping use, strategic groundwater reserve development and the setting up of the Abu Dhabi Water Council. Launched in 2010 by the Corporate Publishing International (CPI), H20 Water Awards celebrates the outstanding achievements of the Middle East and North Africa (MENA) water industry. 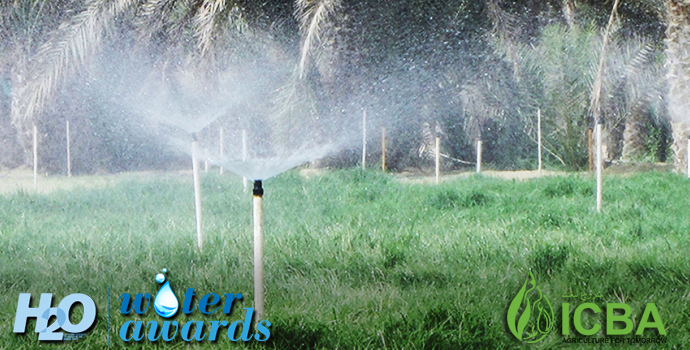 H2O Water Awards recognizes projects and programs under seven categories, which have made significant contributions to the advancement of the region's water industry. The projects and programs are expected to demonstrate a high standard of excellence and quality as well as processes and innovations that promote sustainability.